INDIANAPOLIS, IN (November 15, 2016) — Ten individuals who have made outstanding contributions to interscholastic athletics have been named recipients of the 2016 Distinguished Service Awards given by the National Interscholastic Athletic Administrators Association (NIAAA). These individuals will be honored December 13 in Nashville, Tennessee, during the banquet at the 47th annual National Athletic Directors Conference conducted jointly by the National Federation of State High School Associations (NFHS) and the NIAAA. The Distinguished Service Award is presented annually to individuals from within the NIAAA membership in recognition of their length of service, special accomplishments and contributions to interscholastic athletics at the local, state and national levels. Nominations are submitted by state athletic directors associations, screened by the NIAAA Awards Committee and selected by the NIAAA Board of Directors. This year’s winners include John DiColo, CMAA, athletic director, Jefferson Township High School, Oak Ridge, New Jersey; Bill Fitzgerald, CMAA, activities director, Fremont (Nebraska) High School; Mike Garvey, CMAA, director of athletics, Hackett Catholic Prep, Kalamazoo, Michigan; Tim Graham, CMAA, athletic director/assistant principal, Tumwater (Washington) High School; Mike Lunney, CAA, assistant executive director, Rhode Island Interscholastic League, Providence, Rhode Island; Hugh McReynolds, CAA, retired athletic director, Logan County High School, Russellville, Kentucky; Todd Sampson, CMAA, assistant principal, Edward Little High School, Auburn, Maine;Pete Shambo, CMAA, athletic administrator, Penfield Central School District, Rochester, New York;Greg Smith, CMAA, executive director, Wisconsin Athletic Directors Association, Monroe, Wisconsin; and Lonnie Tillman, CAA, associate director, Mississippi High School Activities Association, Clinton, Mississippi. A native of Mississippi, Lonnie Tillman has been involved in secondary education in his home state for more than 30 years. After serving at the local level as a teacher, coach and athletic director for 28 years, Tillman has been associate director of the Mississippi High School Activities Association (MHSAA) since 2011. 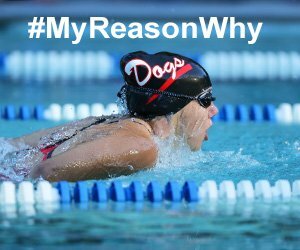 With the MHSAA, Tillman oversees cross country, fast-pitch softball, slow-pitch softball, swimming, and track and field. He also handles game ejections, sanctioning and coordinates the annual conference for the Mississippi Association of Athletic Administrators (MAAA). Tillman was a junior college All-American offensive guard in football at Mississippi Gulf Coast Community College in 1979 and then earned his bachelor’s degree at the University of Southern Mississippi. From 1983 to 1994, Tillman was a teacher and coach at Harrison Central High School in Gulfport. In addition to his assistant football coaching duties, Tillman was the assistant coach for boys track and field and the head coach for the school’s girls track and field program. In 1995, Tillman moved into athletic administration when he became athletic director of Pass Christian (Mississippi) High School for two years. He moved back to Gulfport in 1997 and served the next 14 years as athletic director of the Harrison County School District (HCSD). During his time with the HCSD, Tillman became active in leadership positions with the MAAA, MHSAA and NIAAA. He served on the MHSAA Legislative Council (2004-08) and was president of the MHSAA Executive Committee (2008-10). In 2004, he was selected MAAA Athletic Director of the Year. Nationally, Tillman was a member of the NIAAA Board of Directors in 2005-06 and has served as the Mississippi representative at the NIAAA Delegate Assembly since 2006. He has served on the NIAAA Awards Committee since 2012 and has been a a Leadership Training instructor for two courses. John DiColo, a New Jersey native, has devoted 39 years to education-based athletics in New Jersey in his roles of coach, vice principal, principal and athletic director. For the past 17 years, DiColo has been athletic director of Jefferson Township High School (JTHS) in Oak Ridge, New Jersey. As athletic director of JTHS, DiColo has instituted a mandatory community service project and an academic probation/suspension regulation to aid student-athletes in their effort to maintain good grades. In his tenure as athletic director, JTHS has won the New Jersey State Interscholastic Athletic Association (NJSIAA) Sportsmanship Award seven times. DiColo began his career at Mount Olive High School in Flanders, New Jersey, where he was a teacher and head coach in softball, soccer and ice hockey. He won more than 160 games in 10 years as the girls softball coach. While at Mount Olive, DiColo served as director of student activities and the summer school principal. After three years at Morris Knolls High School, DiColo returned to Mount Olive as vice principal before becoming principal and athletic director at JTHS. He has served as Sussex County Interscholastic League secretary and president, as well as secretary and member of the Morris County Secondary Schools Ice Hockey League scheduling committee. When the Northwest Jersey Athletic Conference formed in 2009, DiColo became the conference’s first president. DiColo has been active in the NJSIAA and the Directors of Athletics Association of New Jersey (DAANJ). He was a member of the NJSIAA Public/Non-Public Committee and is currently serving as president of the DAANJ for 2016-17 after terms as secretary and treasurer. Nationally, DiColo is vice chair of the NIAAA Publications Committee and will become chair this year, and he has had 10 articles published in the Interscholastic Athletic Administration magazine. He also has completed 21 Leadership Training Institute courses. Bill Fitzgerald has left his mark on Nebraska education-based activities and sports since 1981 as activities director of two different schools. Since 2005, Fitzgerald has served in that role at Fremont (Nebraska) High School, where he is also the assistant principal. Thanks to Fitzgerald’s leadership, Fremont was awarded the Class A State Sportsmanship Award in girls basketball in 2012 and boys basketball in 2016. Fitzgerald’s career started as an assistant football and basketball coach in Kansas, where he was employed by Central Heights Public Schools in Richmond from 1978 to 1981. In 1981, Fitzgerald began a 24-year stint at the Louisville (Nebraska) Public Schools as the school’s volleyball, boys basketball and girls track coach, and instructor for physical education, health education and drivers education. In 1995, Fitzgerald was named the school’s assistant activities director, and he became the activities director in 1997. As boys basketball coach, Fitzgerald helped Louisville claim the 1981-82 conference championship, while doing the same for girls track from 1983 to 1989. The girls track team also laid claim to the runner-up position in the 1984 and 1985 Nebraska School Activities Association (NSAA) Class C Track and Field Meet. At the state level, Fitzgerald has served in numerous positions for the NSAA, where he’s been District II vice chair since 2013. In 2011-12, Fitzgerald served as president of the Nebraska State Interscholastic Athletic Administrators Association (NSIAAA), and has been a member of the NSIAAA Publications Committee since 2013. At the national level, Fitzgerald is a member of the NIAAA Publications Committee and will become vice chair in December. Fitzgerald received the NIAAA State Award of Merit in 2013, the NSIAAA State Athletic Director of the Year Award in 2014 and the National High School Athletic Coaches Association Region VI Athletic Director of the Year Award in 2015. Fitzgerald earned his bachelor’s degree from Peru State College (Nebraska) and his master’s from the University of Nebraska, Omaha. An active member of the Michigan Interscholastic Athletic Administrators Association (MIAAA), Mike Garvey has served as a high school athletic director at four Michigan schools since 1994, including his current position as director of athletics at Hackett Catholic Prep in Kalamazoo. After beginning his career as a football, wrestling and baseball coach at Marian Central Catholic High School in Woodstock, Illinois, Garvey moved to Michigan in 1985 as a teacher and four-sport coach in the Lawton Community Schools. He served in those roles for 14 years and added the duties of district athletic director for the final five years. 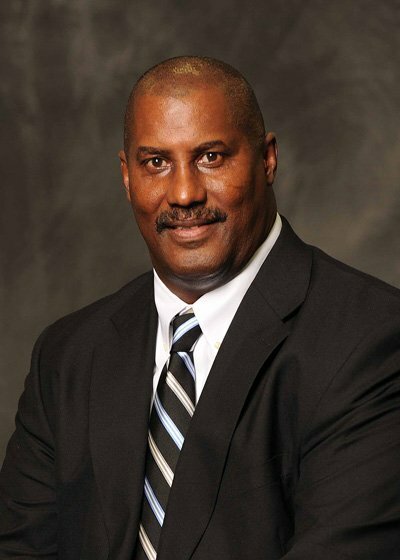 Garvey then served as district director of athletics for the Delton (Michigan) Kellogg Schools for seven years and director of athletics for the Ostego (Michigan) Public Schools for four years before accepting his current assignment at Hackett Catholic Prep in 2010. Garvey, who earned his bachelor’s and master’s degrees from Western Michigan University and his CMAA certification from the NIAAA in 2004, has been a member of the MIAAA and the NIAAA since 1994. He has served in multiple leadership roles with the MIAAA, including a term as president, state coordinator for the NIAAA Leadership Training Institute (LTI) for 12 years and chair of the MIAAA Sportsmanship Committee for five years. Garvey has served on numerous Michigan High School Athletic Association (MHSAA) committees and has hosted more than 50 district, regional and state tournaments at his various schools. At the national level, Garvey has been a LTI instructor since 2002 and is vice chair for Leadership Training Course 720. He has been Michigan’s delegate to the NIAAA Delegate Assembly on several occasions and the NIAAA liaison for 10 years. Among his many honors, Garvey was recipient of the MSHAA Allen W. Bush Award in 2015 and was the MIAAA Athletic Director of the Year in 2015-16. Tim Graham has been athletic director and assistant principal of Tumwater (Washington) High School for the past 17 years. During that time, he has assisted with facility improvements that include a $2.1 million stadium renovation; established the Thunderbird Athletic Roundtable, which provides students a place to voice their opinions on athletic program decisions; and created a booster association that contributes more than $75,000 a year to the athletic program. After graduating from Southern Oregon University, Graham was a teacher and coach in the Eagle Point (Oregon) School District for four years before moving to Tumwater, Washington, in 1993. He was a math teacher, head baseball coach and assistant wrestling and football coach at Tumwater for six years before moving into athletic administration in 1999. At the state level, Graham served on the Washington Interscholastic Activities Association (WIAA) Executive Board for three years and has been very active in the Washington Secondary Schools Athletic Administrators Association (WSSAAA). He served on the WSSAAA Executive Board for nine years and was president of the WSSAAA in 2008-09. Since 2001, he has been the WIAA Class 3A wrestling tournament director and has worked the football state finals since 1997. He has also served as local site manager for district events in basketball, football, soccer, track, volleyball and wrestling. Graham has been involved in many leadership roles with the NIAAA. He served a four-year term on the NIAAA Board of Directors (2011-15) and was a member of the NIAAA Publications Committee from 2001 to 2011, including six years as chair. Graham also serves on the NIAAA National Faculty for Leadership Training Courses 703, 502 and 503. Graham was honored as the WSSAAA Athletic Administrator of the Year in 2005, and in 2006, was selected as the National Council of Secondary School Athletic Directors National Athletic Administrator of the Year. He received the NIAAA State Award of Merit in 2010 and the NFHS Citation in 2012. Mike Lunney launched his career in 1990 as assistant men’s basketball coach at Roger Williams University in Bristol, Rhode Island. The four-year varsity letterman for the University of New Hampshire men’s basketball team then became the NCAA’s youngest head basketball coach in 1992 at Roger Williams. Lunney began his service to interscholastic athletics in 1995 when he was appointed director of athletics and student activities and head basketball coach of Portsmouth (Rhode Island) High School. He was the school’s athletic director for 16 years and coached the basketball team for eight years (1995-98, 2006-11). Under Lunney’s guidance, Portsmouth claimed the 1996 Rhode Island Interscholastic League (RIIL) Class B state championship and the 2010 Division II state championship. Lunney’s 16-year term as Portsmouth’s athletic director included organizing an athletic program that featured 14 sports and 33 teams. Lunney was influential in the development of a $3.5 million gymnasium at the school, and from 1998 to 2011, he was a member of the Rhode Island Interscholastic Athletic Administrators Association, serving as its president from 2006 to 2008. As assistant executive director of the RIIL since 2011, Lunney’s responsibilities include 16 sports and the RIIL’s Unified programs. In 2015, he was appointed to the NFHS Coaches Education Committee, and he has duties as president of the Council of New England Secondary School Principals’ Association. In that role, he coordinates the annual New England Championships in eight sports and activities. Lunney was the first Rhode Islander to serve on the NIAAA Board of Directors, and he also was a member of the NIAAA’s third Strategic Planning Committee. Among his honors, Lunney was Rhode Island Basketball Coach of the Year three times, and he is a two-time recipient of the NIAAA State Award of Merit. In 2006, Lunney was inducted into the Bristol High School Athletic Hall of Fame. Hugh McReynolds retired last year after an outstanding 29-year career as athletic director at Logan County High School in Russellville, Kentucky. In his role as athletic director, McReynolds managed a 60-plus member athletic department that featured more than 600 student-athletes and 200-plus athletic events, as well as the school system’s combined middle school programs that covered six sports. 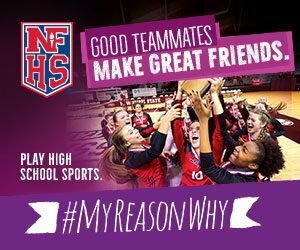 In 2013, McReynolds’ school was named co-recipient of the NFHS National High School Spirit of Sport Award. McReynolds, who earned his bachelor’s and master’s degrees from Western Kentucky University, was responsible for adding numerous sports at Logan County, including cross country, swimming, volleyball, archery, soccer and bass fishing. He also guided the addition or renovation of numerous facilities at Logan County. Currently serving as executive director of the Kentucky High School Athletic Directors Association (KHSADA), McReynolds was the organization’s president from 2012 to 2014 and served on the KHSADA Board of Directors from 2000 to 2012. McReynolds has been a member of the state athletic directors conference planning committee since 2010 and a state leadership/certification coordinator since 2002. McReynolds also assisted the Kentucky High School Athletic Association (KHSAA) in a variety of ways. He hosted numerous KHSAA district and regional tournaments and was a presenter at the KHSAA Delegate Assembly several times. McReynolds received the NIAAA State Award of Merit in 2007 and this past April, he received the Jim Watkins Award of Excellence from the KHSADA. Other honors include presenting at the 2014 Sports Turf Managers Association National Conference and receiving the NFHS/KHSAA Award of Excellence for Sportsmanship, Ethics and Integrity in 2014. McReynolds served on the NIAAA’s fourth Strategic Planning Committee in 2015 and has been chair of the NIAAA Sports Turf Committee since 2009. He has completed 39 Leadership Training courses through the NIAAA and has served on the Leadership Training National Faculty since 2005. For the past 10 years, Todd Sampson has been responsible for managing interscholastic athletics and activities at Westbrook (Maine) Middle School and High School and Mt. Ararat Middle School and High School in Topsham, Maine. In those roles, Sampson was responsible for more than 60 coaches and 30 advisors who serve the two high schools. Upon graduating from the University of Maine, Presque Isle, in 1995, Sampson was a teacher and coach at two Maine high schools. He coached baseball, boys varsity basketball and junior varsity girls soccer at Limestone (Maine) Community School for three years. During this time, he founded the Eagle Pride Basketball Camp and the GNG Blackboards and Backboards Academic Program. In 1998, Sampson moved to Gray (Maine) New Gloucester High School as boys basketball coach while coaching baseball and soccer at Auburn (Maine) Middle School. Sampson assumed responsibilities as an athletic administrator in 2000, when he was hired by Lake Region Middle School and High School in Naples, Maine. He managed the interscholastic athletic and activity programs for both schools. During this time he helped develop a varsity ice hockey program and revived the Lakers Hall of Fame. In a short amount of time, Sampson has made significant contributions at the state level. He has served on the Maine Interscholastic Athletic Administrators Association (MIAAA) Board of Directors since 2006 and was president in 2011-12. Within the Maine Principals’ Association (MPA), Sampson serves on the MPA Golf Committee and was a member of the Football Committee from 2001 to 2006. He also hosted the 2008 MPA Class C State Track and Field Championship. Nationally, Sampson was appointed to the NIAAA Credentials Committee in 2008 and became chair of the committee in 2012. He was appointed to the third NIAAA Strategic Planning Committee in 2009. Sampson received the MIAAA Special Achievement Award and the MIAAA Keith Lancaster Professional Development Award in 2009, and was named the MIAAA Robert Lahey Athletic Administrator of the Year in 2010. After 13 years as a teacher and coach and two years as athletic director at Geneseo (New York) High School, Pete Shambo has been athletic administrator for the Penfield Central School District in Rochester, New York, since 2001. Since assuming duties with the Penfield schools and its 5,600 students, Shambo has become an active member of the New York State Athletic Administrators Association (NYSAAA). In 2004, he became secretary of Chapter 5 of the NYSAAA and in 2007 was chosen as the Chapter 5 representative to the NYSAAA Executive Committee. Shambo served as NYSAAA conference planner in 2010-11 and was elected NYSAAA president in 2014. He is currently coordinator of the NYSAAA Professional Development Academy. Within the New York State Public High School Athletic Association (NYSPHSAA), Shambo represented Section 5 on the Girls Lacrosse Committee from 2006 to 2013 and is currently president of Section 5. A three-sport high school student-athlete in northern New York, Shambo graduated from the State University of New York (SUNY) Brockport in 1987, where he also was a member of the university’s men’s soccer team. He then taught physical education and coached three sports at Geneseo High School for 13 years and added the duties of assistant principal and athletic director during his final two years. Shambo, who earned his master’s degree from SUNY Brockport in 1991, was instrumental in bringing the first indoor sports facility to the Rochester area in 1995 when he and several other partners opened the 30,000-square-foot Rochester Sports Garden. At the national level, Shambo became the first person in Chapter 5 of the NYSAAA to earn CMAA certification from the NIAAA. In 2011, Shambo became a member of the NIAAA Certification Committee, and he has completed more than 30 Leadership Training Courses. Shambo has attended all 14 NIAAA Section 1 Summer Institutes in Cape Cod, and has served as coordinator the past four years. Greg Smith’s 29-year career in education has been divided between Oregon and Wisconsin after one year at a middle school in Bellingham, Washington, to begin his career. Smith retired as an active athletic administrator in 2013 after 10 years as district activities director for the West De Pere (Wisconsin) School District. Since his retirement from West De Pere, Smith has continued to serve as executive director of the Wisconsin Athletic Directors Association (WADA). Prior to becoming executive director of the WADA, Smith served a term as president. Before moving to Wisconsin in 2003, Smith served in the Hermiston (Oregon) School District for 15 years. He was a teacher and coach at Hermiston High School for two years before becoming assistant principal of the high school and district activities director in 1990. Smith served in various leadership positions with the WADA prior to becoming executive director, including a term as president in 2008-09. He also was the WADA liaison to the Wisconsin Interscholastic Athletic Association and has been a member of the National Executive Directors Council since 2010. Nationally, Smith served on the NIAAA Certification Committee. Among his awards, Smith was Oregon Athletic Director of the Year in 2003 and District 4 Wisconsin Athletic Director of the Year in 2008. He received the NFHS Citation in 2013 and the WADA President’s Award in 2015, and he was inducted into the WADA Hall of Fame earlier this year. Smith earned his bachelor’s degree at the University of Wisconsin-Platteville, and his master’s degree at Eastern Oregon University. Along with his 29-year career in secondary education, Smith attained the rank of Lieutenant Colonel in the United States Army Reserve before retiring after 27 years. His last position held was Battalion Commander, 1st Battalion, 416th Regiment, 104th Division. His unit was responsible for basic combat training and advanced infantry skills training for an estimated 1,300 trainees during an eight-week cycle. His unit contained more than 250 soldiers and an inventory in excess of $10 million.